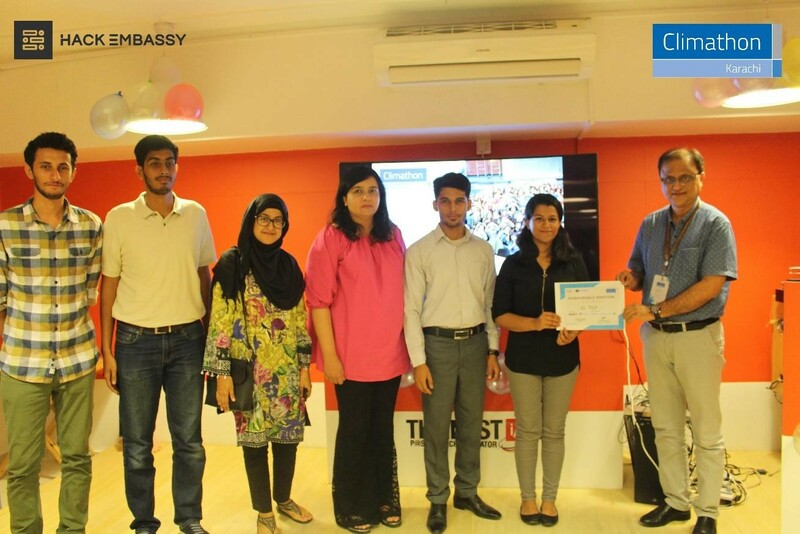 Hack Embassy Organizes The First Edition Of Karachi Climathon! 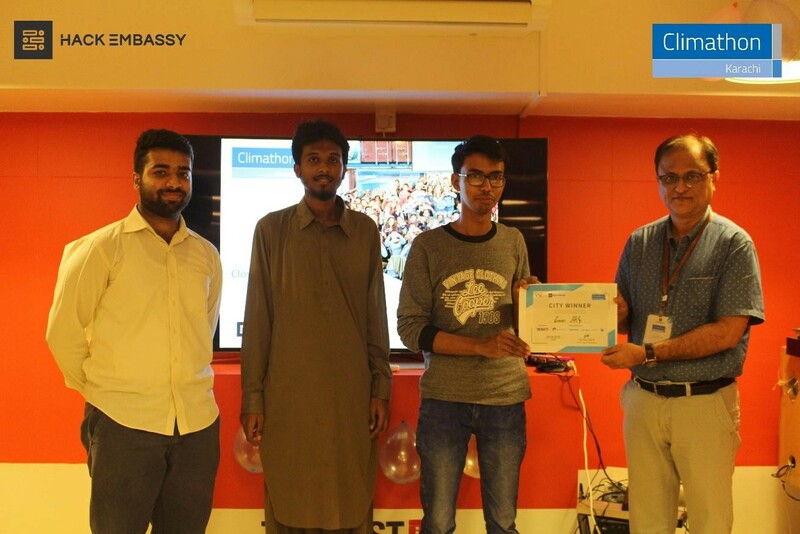 Home Environment Hack Embassy Organizes The First Edition Of Karachi Climathon! 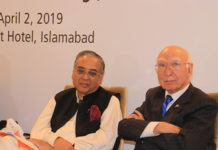 In a city like Karachi, where the climatic changes are at an alarming stage, it was very necessary to set out some challenges for the citizens that’ll help in improving the city’s condition. The Hack Embassy triggered Karachi Climathon 2018 by putting out a call to young change-makers to step forth, get involved in the Climathon ecosystem and come up with solutions in just 48 hours from 8th to 9th of September! And what exactly is a Climathon? Climathon is an immersion event – a unique experience where participants get a glimpse of what it means to solve climate challenges. 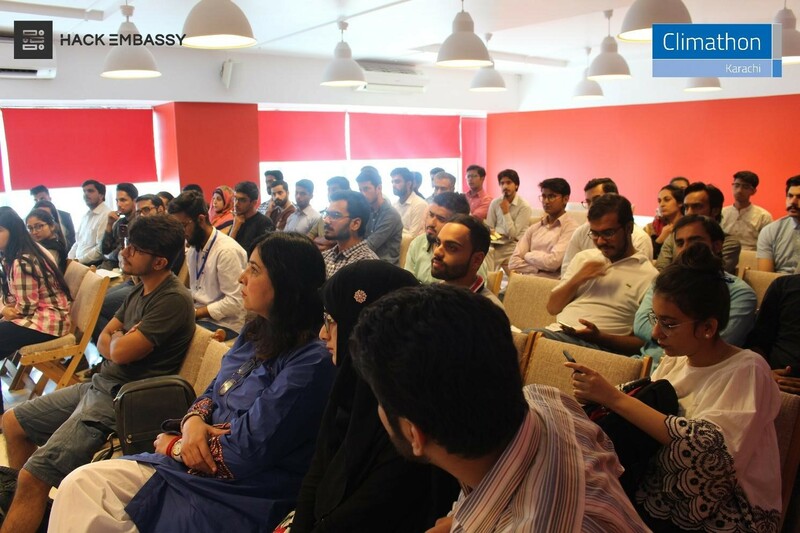 Through Climathon, students, innovators, professionals and citizens of Karachi get a platform to share their ideas, form diverse teams and address challenges over the course of a weekend. The participants were introduced with 8 challenges (identified while working with local and international partners) during the opening ceremony and were told to join the group of their choice and interest. After the groups were ready to function, the citizens started working on their projects focusing on the main aims and objectives laid before them. Coming up with solutions in just 48 hours? Were citizens up to the task? You bet! students, professionals and serial entrepreneurs answered our call with vigor. We received more than 140 applications out of which a 50 were invited to attend the event. We had a full house for all 2 days as participants worked well into the night to make the most of this wonderful opportunity. To keep the participants’ spirit high, we invited environmentalists from different fields to take center stage and share their inspiring stories with the participants. 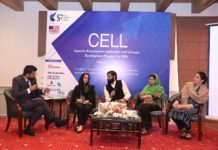 The speaker line-up included Farhan Anwar, Sustainability expert; Afia Salam, journalist, and environmentalist; Zainab H. Nasir, visual storyteller. Akash Sheikh, Umair Ali, Anusha Fatima was also invited to conduct small workshops on ideation, Communication and Impact Pitching. Moreover, we also conducted a live video session with the co-founder of YSI, Didrik Aleksander on the 6th wave of innovation. 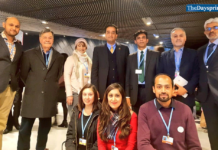 …so, we handed over the task of deciding the winning teams to a panel of judges which included of Jehan Ara (President Nest I/o), Tofiq Pasha Mooraj (sustainability expert), Farhan Anwar (Director Sustainable Initiatives) and Afia Salam (journalist, writer, environmentalist). City Winner: Smart ARG – An automated smart Agriculture system that aims to minimize water consumption while automating the farmer’s workflow. Honorable Mention: E2 Tech – An end-to-end solution that focuses to minimize the energy and resource consumption in traditional office spaces and households. A chance to show the world what youth can do. 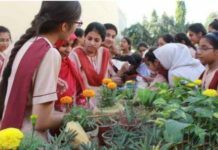 Whether it was the sight of a 20-year old passionately pitching his/her idea of how to curb urban waste or a group of university students set on providing technology-based solutions to recycling, it warmed our hearts to see what citizens could do if only they were given the opportunity. The Karachi Climathon 2018 reaffirmed our belief that our youth is capable of working wonders. All they need are avenues to showcase their many talents to the world. 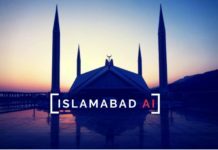 We want to thank our challenge partners Pakistan.AI, Ejaad Tech, Sohni Dharti, Trashit, Team Rakhwalay and Modulus Tech! 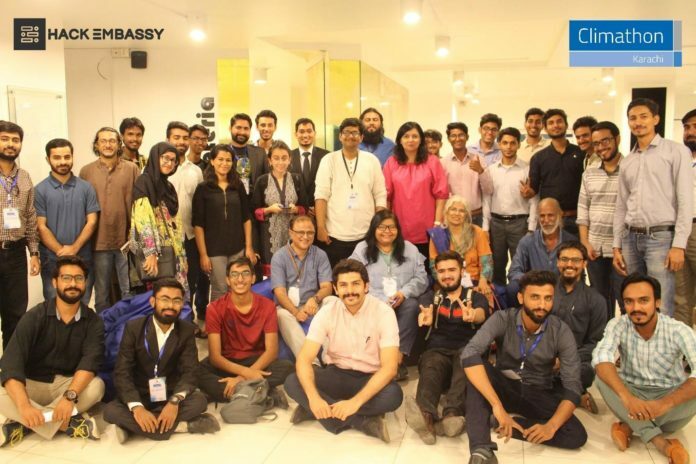 Hack Embassy intends to create awareness about the UN 2030 Agenda, empower and inspire youths across Pakistan to achieve the Sustainable Development Goals (SDGs) while generating green businesses that help make the Goals attainable by 2030.